Hotchkiss began his career in 1838 as the superintendent of Brooklyn’s Green-Wood Cemetery, designed by David Bates Douglass and one of the first rural cemeteries in the country. In the 1840s, Hotchkiss and Zebedee Cook worked together to expand the 178-acre cemetery by more than 200 acres, with a design that was consistent with Douglass’ original intent. In 1849, Hotchkiss left New York and Green-Wood Cemetery for St. Louis, Missouri, where he was given the commission to design Bellefontaine Cemetery, the first designed large-scale rural cemetery west of the Mississippi River. He spent more than 46 years working at Bellefontaine as designer and superintendent; under his management the cemetery grew to 332 acres. Hotchkiss also completed designs for projects across the Mississippi River in Illinois, including the Chippiannock Cemetery in Rock Island. In 1856, Hotchkiss was engaged to create plans for a 1200-acre university and suburb called Lake Forest, just 27 miles outside of Chicago. Platted in 1857, it was among the earliest, large-scale, commercial residential developments in the Chicago region. Lake Forest was Hotchkiss’ last identified project outside of Bellefontaine. Almerin Hotchkiss was born in 1816. He began his career at Brooklyn’s Green-Wood Cemetery, one of the earliest rural cemeteries in the country. 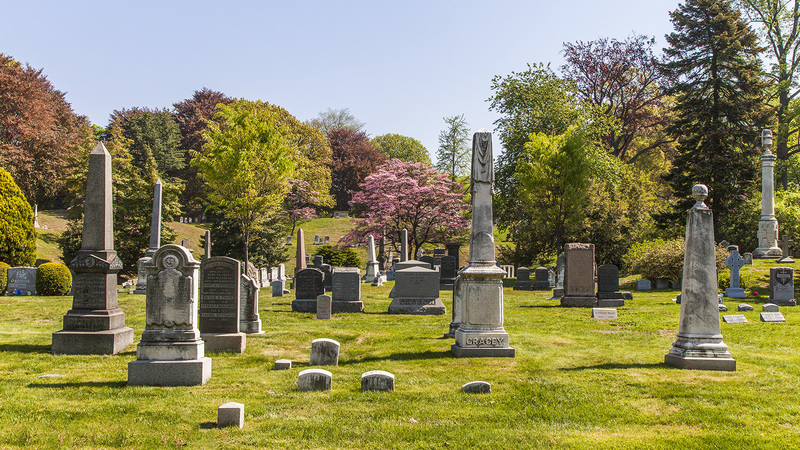 Survey work began at the cemetery in 1833, just two years after the incorporation of the nation’s first rural cemetery, Mount Auburn, in Cambridge, Massachusetts. 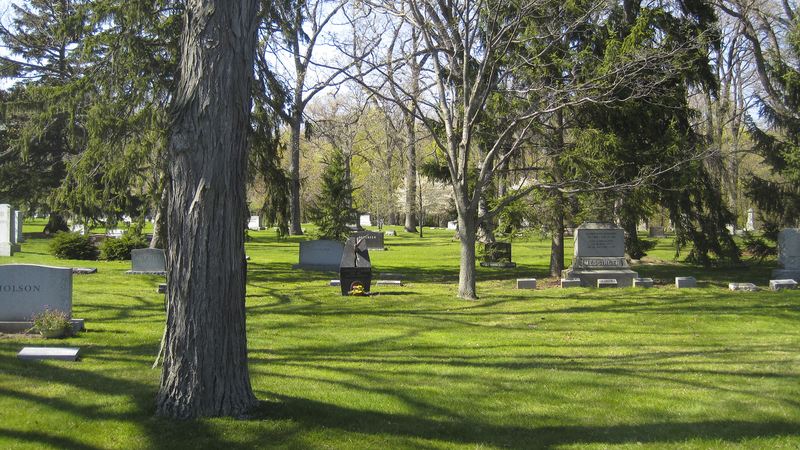 Green-Wood was incorporated on April 18, 1838, with construction of the design by engineer and cemetery designer, David Bates Douglass (1790-1849) beginning just one year later. 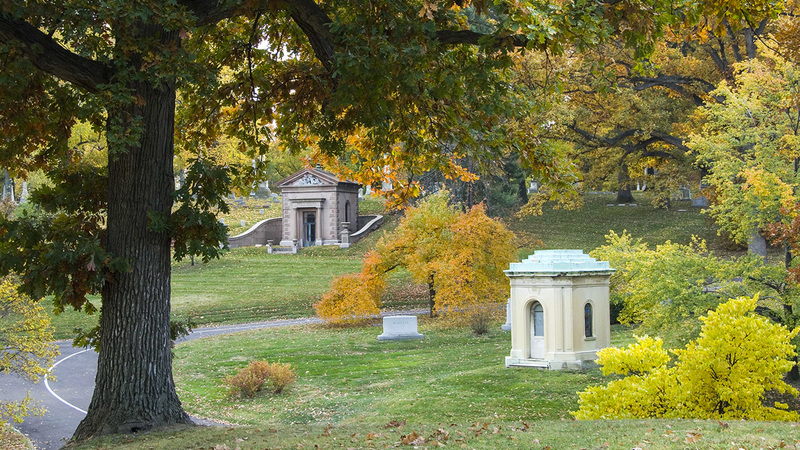 As the newly appointed superintendent, Hotchkiss played a pivotal role in this work, including the expansion of the original 178-acre Green-Wood Cemetery by more than two hundred acres. Consistent with Douglass’ original design intent and sympathetic with the site’s unique topographic variation, Hotchkiss’ addition is characterized by undulating, sweeping curves. For this design Hotchkiss worked with Zebedee Cook on the expansion, which occurred in the 1840s. In June 1849, a massive cholera epidemic broke out in St. Louis, Missouri, killing ten percent of the city’s population, which averaged approximately one hundred funerals each day. To address this crisis, cemetery board member James Yeatman traveled east to Brooklyn where he visited Hotchkiss and the Green-Wood Cemetery. Following this visit, Hotchkiss was selected for the Bellefontaine Cemetery commission and within the next few months moved west. The 138-acre cemetery was the first large-scale rural cemetery to be designed west of the Mississippi River. The picturesque site overlooking the river would prove perfect to replace the older in-town cemeteries that stood in the path of expansion. As with his Brooklyn work, Hotchkiss integrated gradually curving roadways into the terrain, while offering scenic prospects and preserving existing vegetation. The renowned tree collections that survive today are attributed to the vigilance of Hotchkiss. While Hotchkiss remained the superintendent at Bellefontaine, he also completed designs for properties in Illinois, across the Mississippi River from St. Louis. His tenure at Bellefontaine spanned more than 46 years, during which time the cemetery grew from its original 138 acres to 332 acres, including fourteen miles of picturesque roads. Hotchkiss also laid out Chippiannock Cemetery in Rock Island, Illinois. 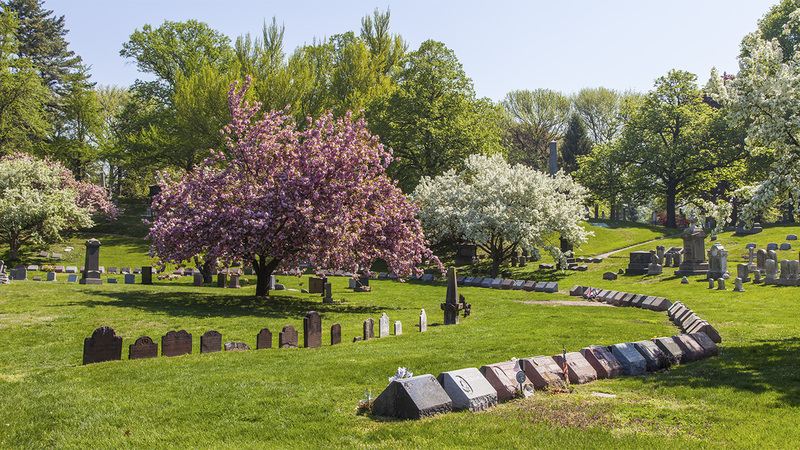 Platted in 1855, “Chippiannock” is a Native American term meaning “place of the dead.” The original 62 acres purchased by the founders for the cemetery, as with Brooklyn’s Green-Wood, was selected for its steeply sloping topography that afforded picturesque views. Here again Hotchkiss integrated undulating drives and pedestrian circulation routes in harmony with the subtle grade changes. However, these drives intersected with triangular traffic islands that were espoused through Andrew Jackson Downing’s writings characteristic of the English landscape school. Bellafontaine Cemetery, St. Louis, Missouri. 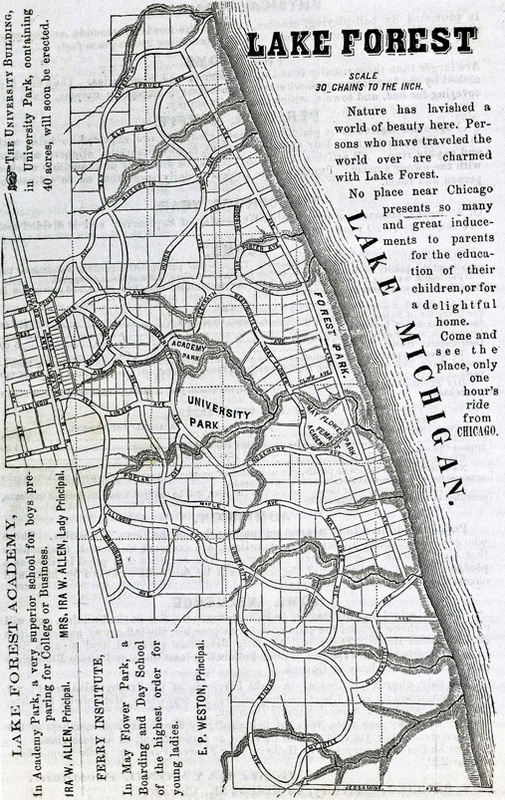 In 1856, Hotchkiss visited Illinois to consult on the plan to create a university and suburb called Lake Forest, just 27 miles outside of Chicago. Hotchkiss registered his plat for Lake Forest in July 1857. His design was in response to another cholera outbreak and was an attempt to make a refuge for urban dwellers to escape the city. 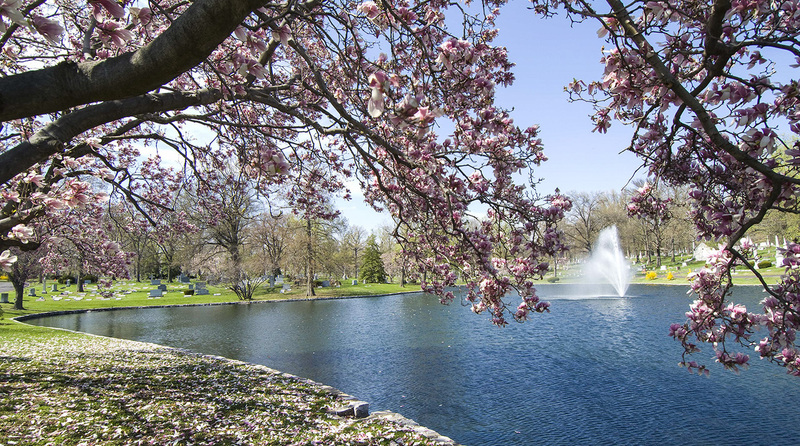 Lake Forest was incorporated in 1861 under a charter granted by the Illinois State Legislature and was primarily founded to support the establishment of church-related educational institutions. It was among the earliest, large-scale, commercial residential developments in the Chicago region – predating Frederick Law Olmsted, Sr.,and Calvert Vaux’s design for Riverside (1869) and Nathan Franklin Barrett’s design for Pullman, Illinois (1870s) by more than a decade. 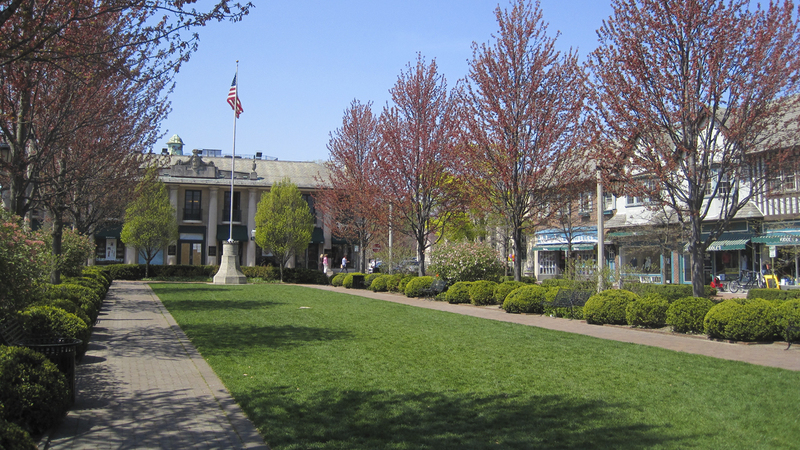 Lake Forest was established just five years after the first such planned community in America, Llewellyn Park, in West Orange, New Jersey, was founded in 1852. While other designed suburbs predate Lake Forest, no other is of a scale comparable to Lake Forest’s 1,200 acres, including a substantial town center. 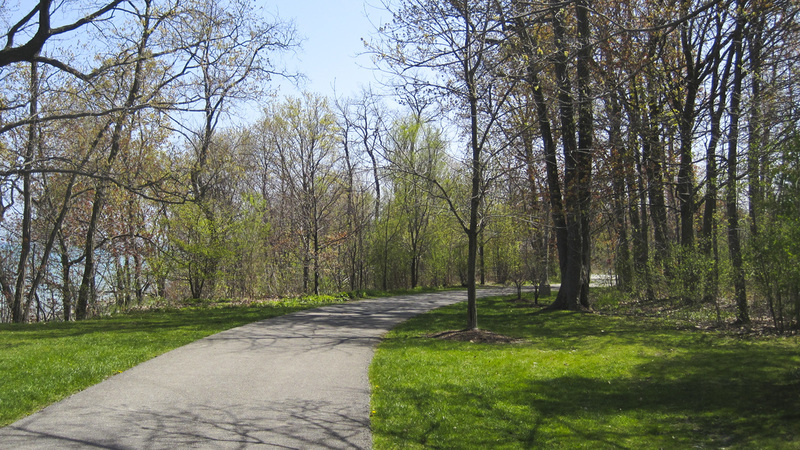 The landscape setting for Lake Forest included both natural and man-made features, including Lake Michigan, lakeside bluffs, an existing rail line, and ravines. As with his earlier cemetery work, Hotchkiss took full advantage of the scenic and topographic features the site offered, and his general plan could be described as a city in a park. As with the earlier A. J. Davis, Howard Daniels, and Eugene Baumann design for Llewellyn Park, Lake Forest was laid out in an organic matter so that the topography, hydrology, and vegetative features guided the street plan, rather than a formal gridiron. 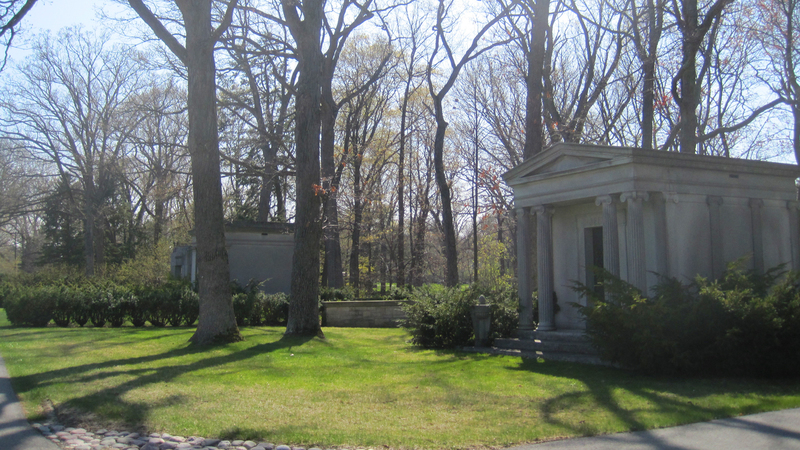 To reinforce and protect this idea, residential and commercial areas were strictly defined, and Hotchkiss designated an area of Lake Forest for a cemetery. 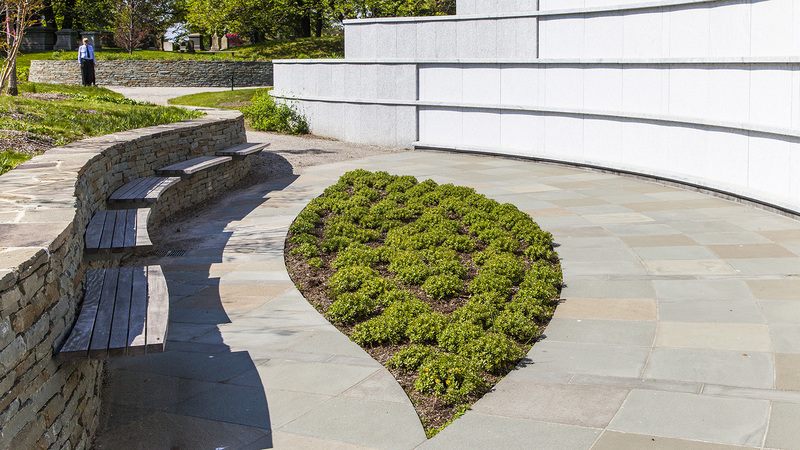 The site, which was high on a bluff overlooking the lake, was laid out by architect William Le Baron Jenney in 1882 and refined by landscape architect O.C. Simonds in 1901. Simonds and Jenney had previously collaborated on Chicago’s great rural cemetery, Graceland Cemetery. The Lake Forest Association was unable to pay Hotchkiss’ fee following the Panic of 1857. However, he was granted one of the lots in lieu of cash. It is possible that this experience curbed Hotchkiss’ enthusiasm for pursuing outside projects because it appears that he worked exclusively at Bellefontaine after this time. Hotchkiss remained superintendent there for the rest of his career and was succeeded by his son Frank, for the following twenty. Hotchkiss passed away in 1903.